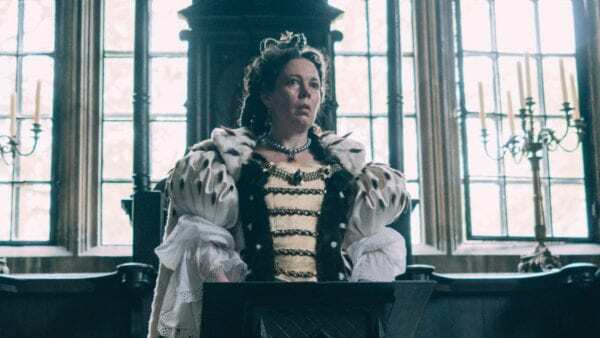 The year is 1708 and the ageing, infirm Queen Anne (Olivia Colman) is serving as quite an ineffectual monarch. She allows trusted friend and adviser Sarah (Rachel Weisz) to do much of the ruling, while she spends time with her 17 rabbits – each of which represents one of the children she has lost. The fragile equilibrium is ruptured by the arrival of Abigail (Emma Stone), who soon discovers that Sarah’s relationship with the Queen is sexual as well as a friendship. What follows is Abigail manipulating her way into the Queen’s affections, and indeed her bed, in an attempt to improve her own position. The power struggle between Abigail and Sarah becomes increasingly intense as the Queen’s health worsens, while war with France rumbles on miles away. 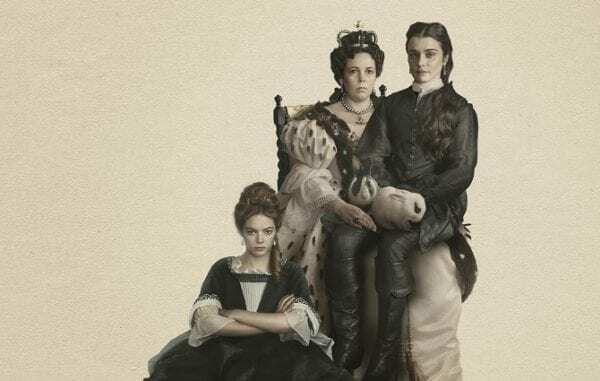 There’s something utterly delightful about The Favourite‘s mad subversion of what an audience expects from a costume drama. This is the first Lanthimos movie that he hasn’t at least co-written, but Deborah Davis and Tony McNamara’s screenplay very much has the spirit of the director’s unusual vision. It’s a masterclass of deadpan silliness and some of the best creative cursing this side of The Thick of It, from all three of the central women and also from Nicholas Hoult’s delightfully over-cranked politician. The film also has a surprisingly powerful emotional core, largely thanks to Colman’s towering leading lady turn. There are certainly flashes of the broad comedian who stole scenes in Peep Show, but clear sadness comes through in Colman’s eyes in her best dramatic work since her career best performance in Tyrannosaur. The enigmatic finale sees Colman’s character at the centre of yet another heartbreak in a bold, striking conclusion to what has, for the most part, been built for laughs. 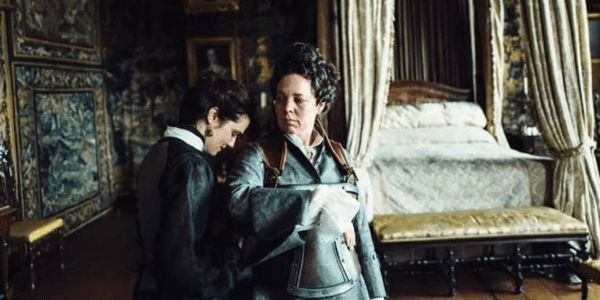 The Favourite started its award season on a high, with a big win for Olivia Colman at the Golden Globes, benefiting from the film’s clear status as a comedy, which separated her from Oscar competitors Glenn Close and Lady Gaga. After that, there was something of a drought in terms of statuettes, right up until a week ago when the BAFTAs came along. 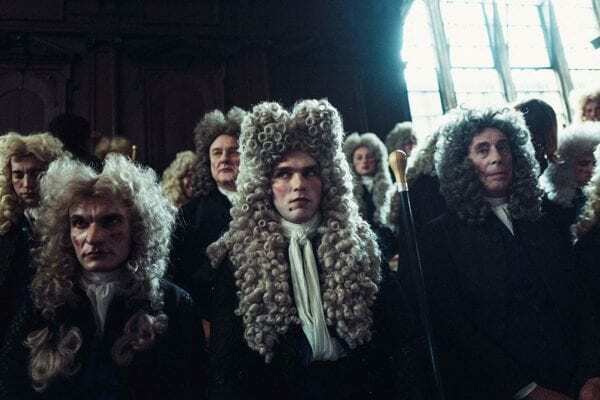 BAFTA night was a terrific one for The Favourite, allowing the British Academy to lavish praise on a film that has the United Kingdom running through its veins. The film won seven prizes at the ceremony, more than any other movie. 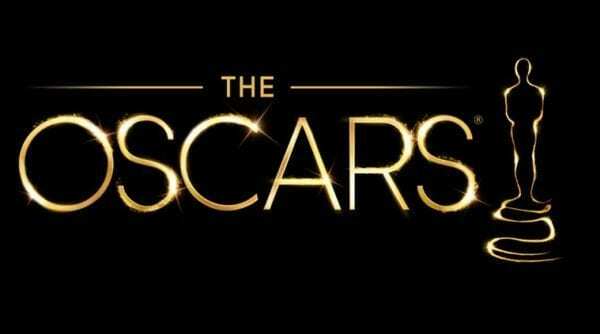 Although it lost out on the Best Film prize to Roma, Lanthimos’s movie managed to scoop some major gongs, including Best British Film, Best Original Screenplay, Best Actress for Colman and Best Supporting Actress for Weisz. It has also missed on a number of guild nominations. 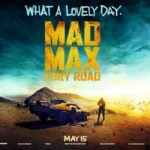 The film was deemed ineligible for the Writers Guild of America Awards, where it stood a real chance at victory, and was ignored by the Screen Actors Guild, despite the fact it seemed a perfect point for its top Best Ensemble prize. This one probably doesn’t stand a chance. Only two films since the inception of the SAG Awards have won Best Picture without landing a SAG Best Ensemble nom – Braveheart and The Shape of Water – and that would seem to rule out The Favourite, as it hasn’t wowed any of the guilds enough to win their top prizes.